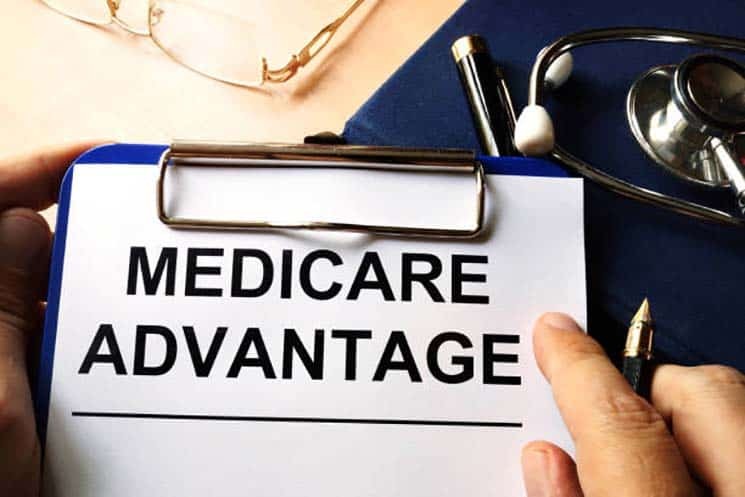 Medicare Advantage Program: Advantage to Whom? FOUR YEARS AGO, when I became eligible for Medicare, I was swamped by HMOs offering me the world to sign for their “free” policies instead of using Medicare. These for-profit programs were called Medicare+Choice. “Why,” I asked the smiling UnitedHealthcare salesman, “would anyone go with plain old Medicare?” UnitedHealthcare offered pharmaceuticals for a mere $15 co-pay, cheaper hospital stays, preventative care, worldwide emergency care, even something called Personalized Care Coordination. It was all so reassuring. I signed up faster than an army physical. Eighteen months later – after I’d been under the personalized care of not only United Healthcare but also WellCare and Humana, I was out in the cold with only Medicare to turn to. Each of the HMOs either raised its premiums so high I couldn’t afford them or simply kicked me out, closing their programs without notice. Furthermore, Thompson claimed that the expanded coverage of drugs, dental, vision, and preventative services not included in traditional Medicare will save the average senior $23 a month. SUDDENLY TRIVIA: According to Public Citizen, how much did the pharmaceutical industry, HMOs, and related interests spend to pass last years Medicare Bill? a) $55 million, b) $92 million, c) $141 million. Boy, that sounds familiar. For many of us, memories of privatized Medicare alternatives linger like the taste of spoiled milk. While this is peanuts compared with the $400 billion windfall profits the bill gifted outright to the drug companies, still $46 billion is real money. It has to come from somewhere. In their rush to prove private industry’s HMOs superior to Medicare, it’s a pretty good bet that Congress is stealing the dough from Medicare’s beleaguered budget and your 17.5 percent Medicare premium increase. Coincidentally I’m sure, payments to HMOs will increase 17 percent in 2005. What I know for sure is that Medicare works. I have yet to be turned down for a procedure or have my physician pushed around by that faceless Washington bureaucrat. Fact is, HMOs spend between 15 to 32 cents of every one of your dollars on overhead; Medicare spends only a penny. Of course, under the new law, Medicare is denied the right to negotiate drug prices while HMOs are under no such restrictions. And Medicare must maintain the quality of care; HMOs can change their benefits and/or the drugs they cover at any time any way they want. As it is to millions of older Americans, to me Medicare is a real lifeline. I depend on it, probably wouldn’t be alive and well today without it. I tell readers to do what they believe is best for them. But for me, I’m sticking with Medicare. What’s that old saying? Fool me once, shame on you. Fool me twice, shame on me.